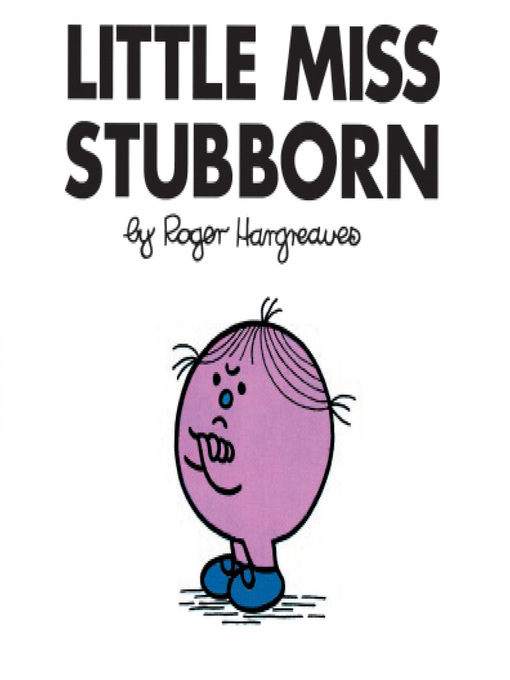 The item Little miss stubborn : Little Miss Series, Book 26., Roger Hargreaves, (ebook) represents a specific, individual, material embodiment of a distinct intellectual or artistic creation found in Charlotte Mecklenburg Library. Little Miss Stubborn hates being told what she can and can't do, so she does whatever she wants! Little miss stubborn : Little Miss Series, Book 26. Little Miss Series, Book 26.